MIAMI (WSVN) – A local basketball legend hosted hundreds of local students for a discussion on issues affecting their lives and futures, Tuesday. 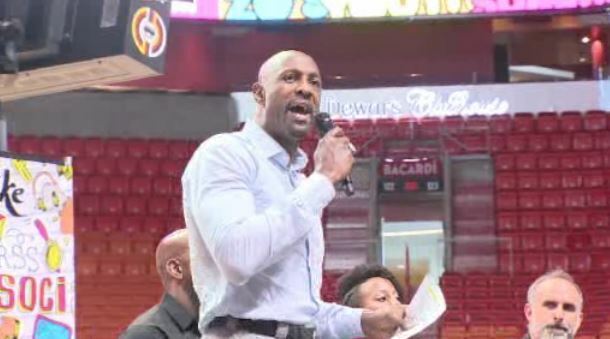 The Miami Heat partnered with their former star, Alonzo Mourning, for “Zo’s Winter Groove Youth Summit.” Hundreds of Miami-Dade County high school students were at American Airlines Arena for the event. Students discussed issues like cyber bullying, gun violence and professional development. “It’s a great experience having them tell us what to do in the future and how to get into the business correctly, so I think it’s nice we’re getting that information now instead of later,” Joana Vassort, a high school student, said. This is the second time the Mourning Family Foundation has held the event. Copyright 2016 Sunbeam Television Corp. All rights reserved. This material may not be published, broadcast, rewritten or redistributed.